Maybe you've been there for the boat show, the auto show, or a big time technology summit. Whatever the draw, the Javits Center, Manhattan's mecca for massive gatherings, is in the middle of a major upgrade. "The facility's about 25 years old," said Glen Johnson of Tishman, which is doing the $460 million renovation. "The roof needs major repair." But unlike other projects of this size and scope, construction teams at Javits are doing the work while the convention center remains open. "It took quite a bit to put this all together," said Joe Cobian, safety coordinator for the New York City Buildings Department. Cobian recently took NBC New York for a ride in an elevator hoist. Above that ceiling was a massive cluster of indoor scaffolding. 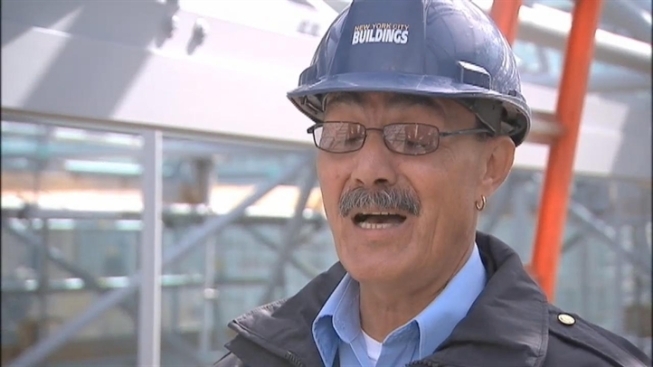 Mike Berry, a retired firefighter who also supervises safety ate the site, said the unprecedented effort of keeping the center open while the work continues was gratifying for the team involved. "It's a piece of history," said Berry. "And it's great to be a part of it." The renovated Javits Center is due to be completed in 2013.